 Create or Recognize 1D and 2D barcode types as well as Export the generated barcodes to multiple image formats within C++ applications. Open NuGet package manager, search for Aspose.BarCode.Cpp and install. 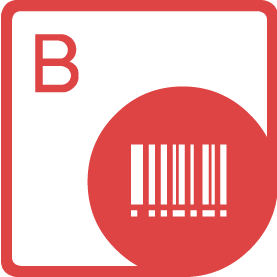 Aspose.BarCode for C++ is a rich-featured API to add barcode generation & recognition capabilities as well as export the generated barcodes to a verity of image formats in high quality. 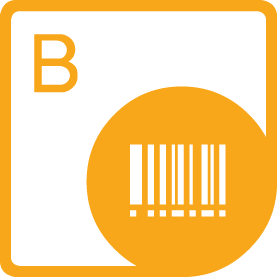 API provides barcode appearance manipulation such as background color, bar color, image quality, rotation angle, x-dimension, captions, size, resolution and much more. Aspose.BarCode for C++ supports multiple imaging, rotation, sizing and printing features. Moreover, It provides encoding and decoding features for multiple symbologies. An overview of the barcode recognition & generation capabilities of Aspose.BarCode for C++. Aspose.BarCode for C++ fully supports C++ applications developed in Windows platforms. Aspose.BarCode for C++ works with most commonly used image formats. Aspose.BarCode for C++ supports for a large number of linear, 2D and postal bar code symbologies for both decode and encode capabilities. Aspose.BarCode for C++ allows the developers to easily add barcode generation & recognition features to their own C++ applications. Barcode generation process only requires the text to encode and the barcode type as well as the resultant image type to store the barcode label. It is really that simple! Barcode recognition process is highly optimized for performance and provides the ability to recognize all supported 1D & 2D barcode types from images, regardless of their orientation or position on the image. Furthermore, the C++ Barcode Library can also be used to detect multiple barcodes from one image. Aspose.BarCode for C++ allows manipulating barcode label borders, border colors, style, margins, and width. It also provides the ability to modify background color and bar color as well as means to rotate barcode labels at any angle and produce high-quality images with anti-aliasing. In addition to this, developers can set customized resolutions for the resultant images while saving them to any of the supported image formats. Aspose.BarCode for C++ can be used customize the barcodes by specifying different kinds of symbologies, setting code text (data to be encoded) and appearance-related properties like font, background color, foreground color as well as alignment and location.